Wheal Basset Stamps, this site is situated around a mile form Marriot’s Shaft. The area around the production area was unsuitable for ore processing so the Stamps were built around the village of Carnkie. There was a tramway that connected the two sites that operated small steam locomotives to transport the ore.
Wheal Basset Stamp 1: The first image of Wheal Basset Stamps. 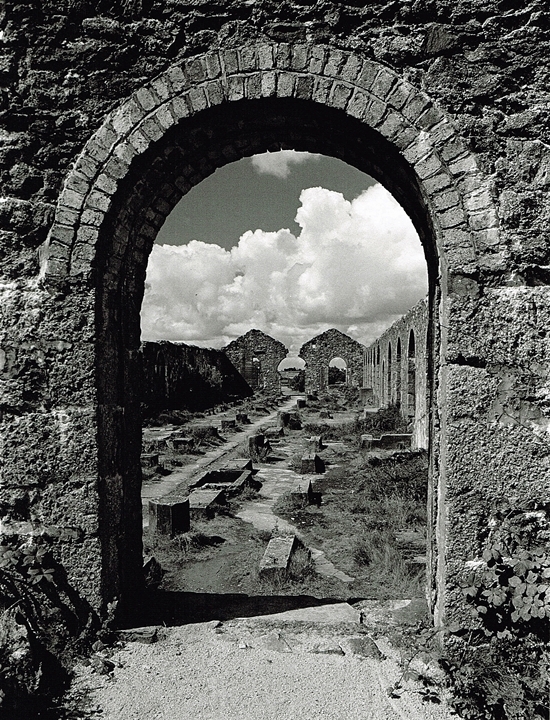 The engine house contained two 30″ rotary beam engines which drove 96 heads of stamps to crush the ore.
Wheal Basset Stamps 2: The stamps would have been in front of the engine house at right angles stretching out to each side. One of the mounting blocks is in the foreground. Wheal Basset Stamps 3: A second image of the Basset Stamps printed in a more dramatic fashion. 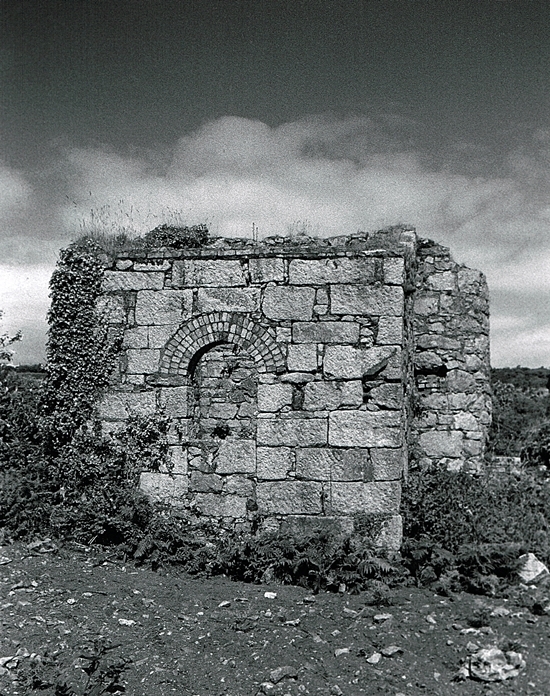 Wheal Basset Stamps 4: An image of the fine wall at the Vanner House (Processing House) at the stamps. 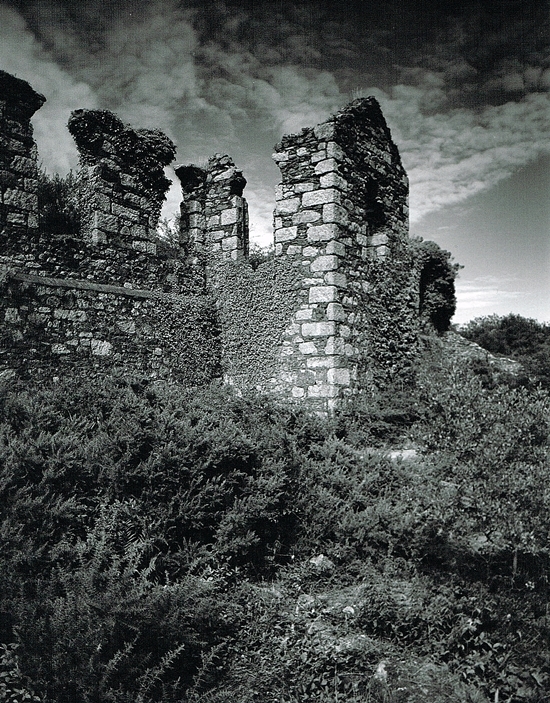 This was taken in the 1990’s, today the site is quite overgrown. 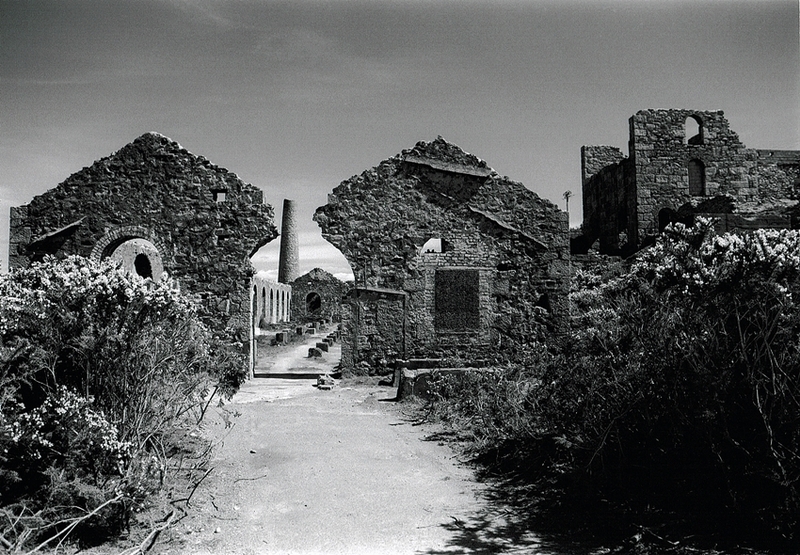 Wheal Basset Stamps 5: The same building looking the other way. This is certainly one of the best prints on this page. 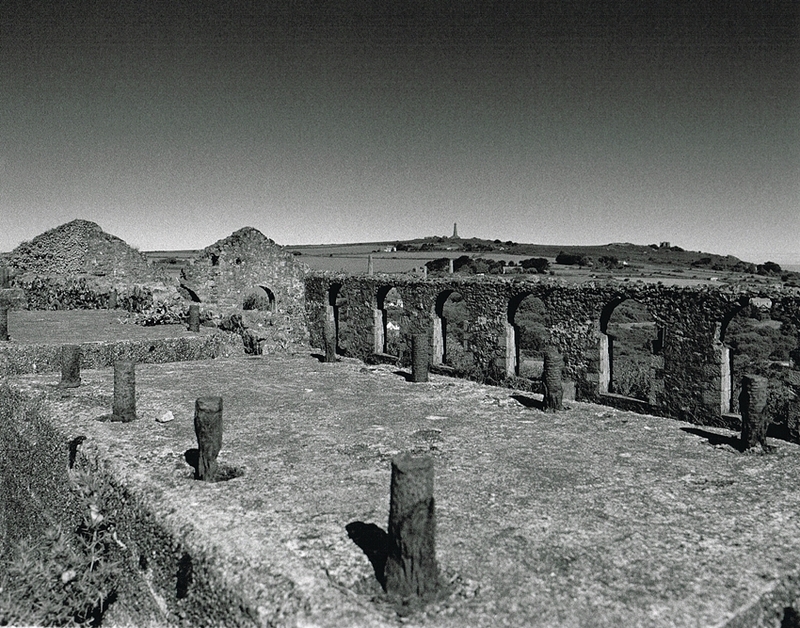 Wheal Basset Stamps 6: An image looking down the centre of the Vanner House. 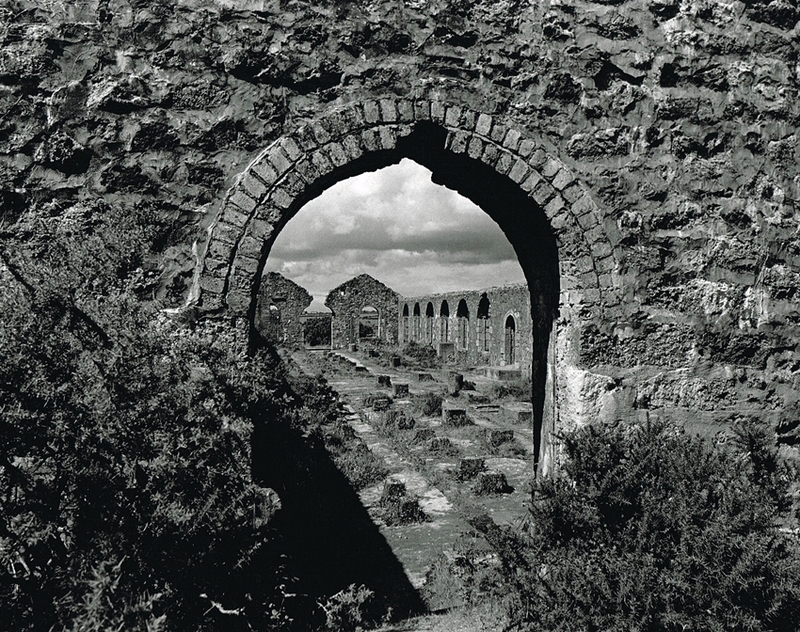 Wheal Basset Stamps 7: Looking through the arched entrance into the Vanner House. This was taken before any remedial preservation was carried out. Wheal Basset Stamps 8: A nicely framed image of the Vanner House. This is looking through the arched entrance to the building, the arch has received some repairs replacing the damaged bricks. Wheal Basset Stamps 9: The top of one of the mounting blocks for the stamps. The fixing bolts remain in situ, the vanner house wall is in the background. 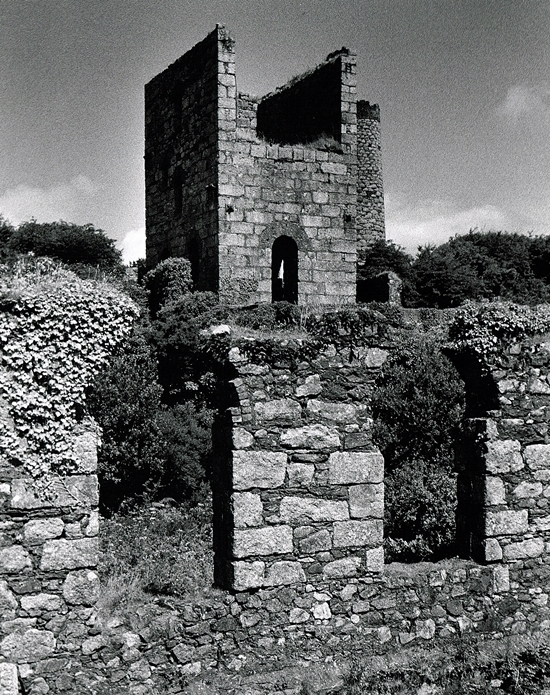 Wheal Basset Stamps 10: A slightly elevated view of the mounts. In total there were 96 heads of Stamps erected here, the noise must have been amazing. Wheal Basset Stamps 11: Taken with a telephoto lens this image is looking towards West Basset Stamps. 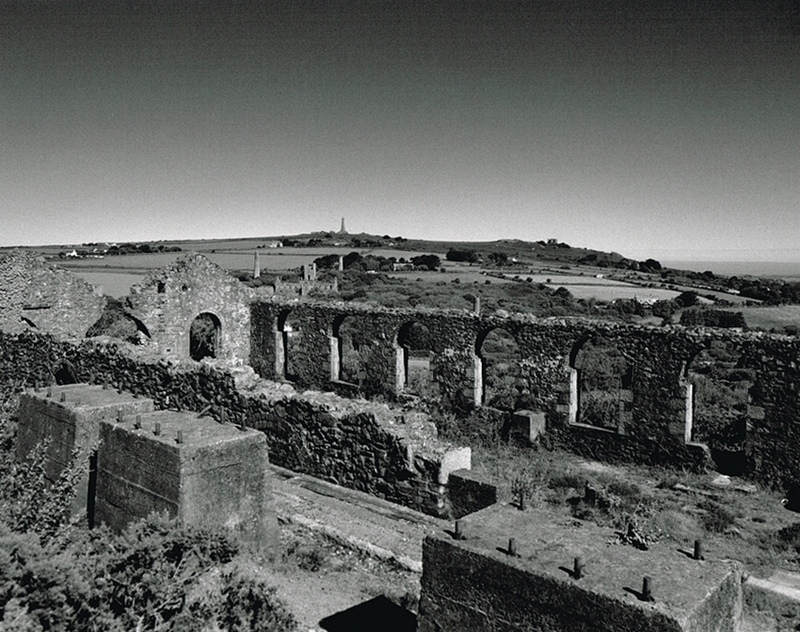 In the background is the Basset monument on Carn Brea. Wheal Basset Stamps 12: Moving closer to West Basset Stamps. 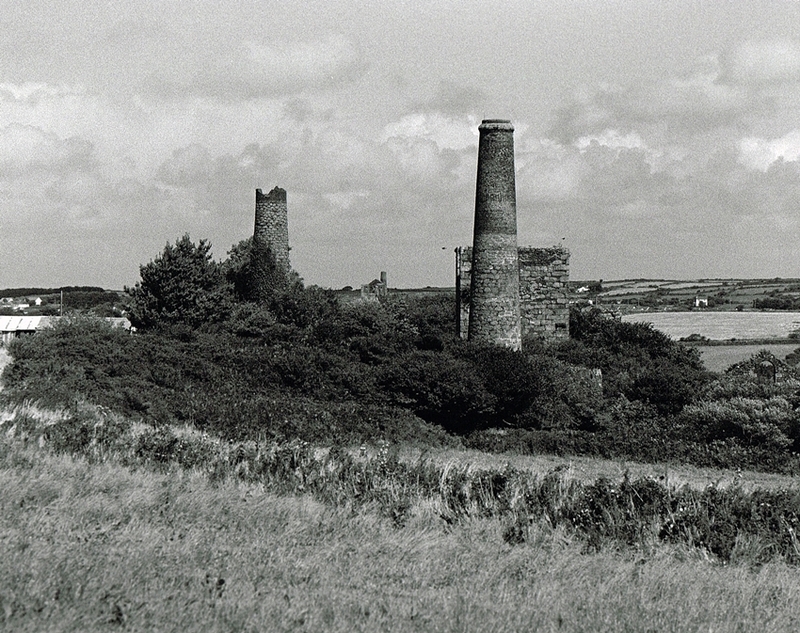 The Engine houses on the left belong to Lyle’s Shaft of Wheal Basset. 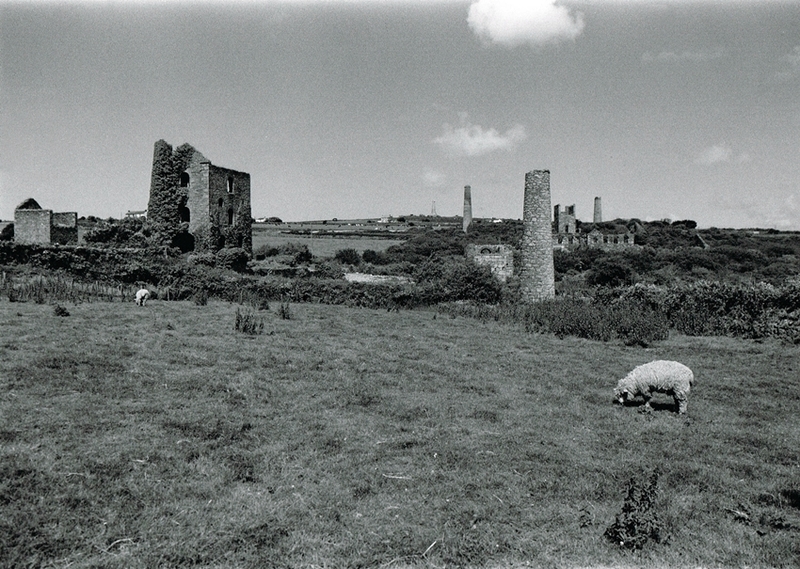 Wheal Basset Stamps 13: Lyle’s 80″ Pumping Engine House of Wheal Basset, in the background is the Whim House, taken before the preservation work had been carried out. 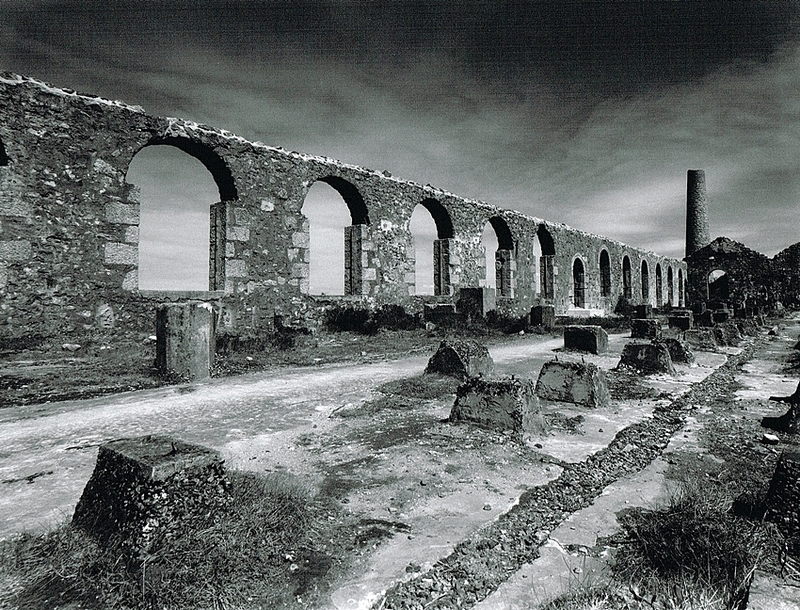 Wheal Basset Stamps 14: An image of the pair of Engine Houses, the Whim House is arranged at right angle to the Pumping House, these were erected in the 1880’s. 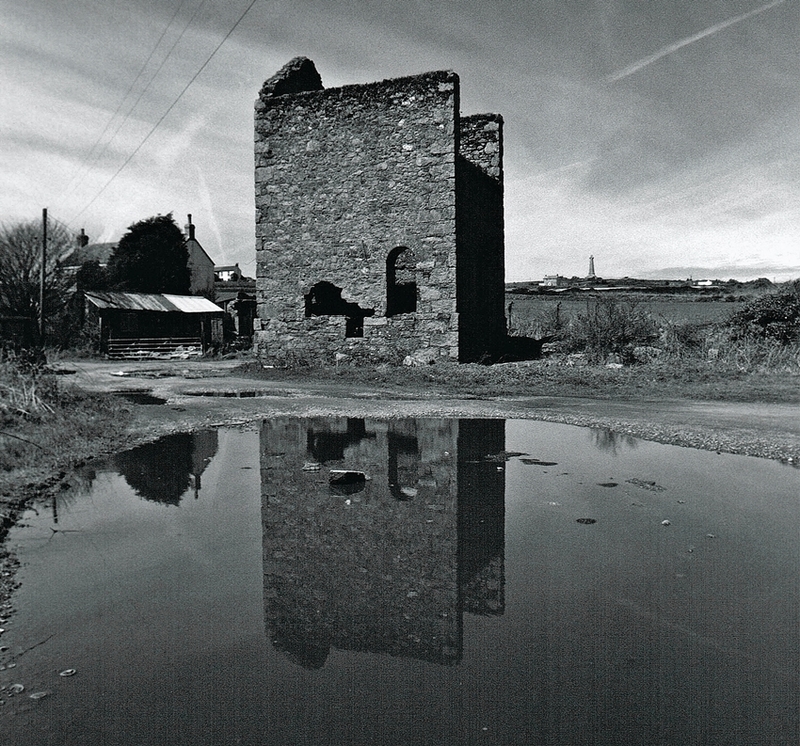 Wheal Basset Stamps 15: This small Engine House housed a pumping engine that supplied water to the Dressing Floors. 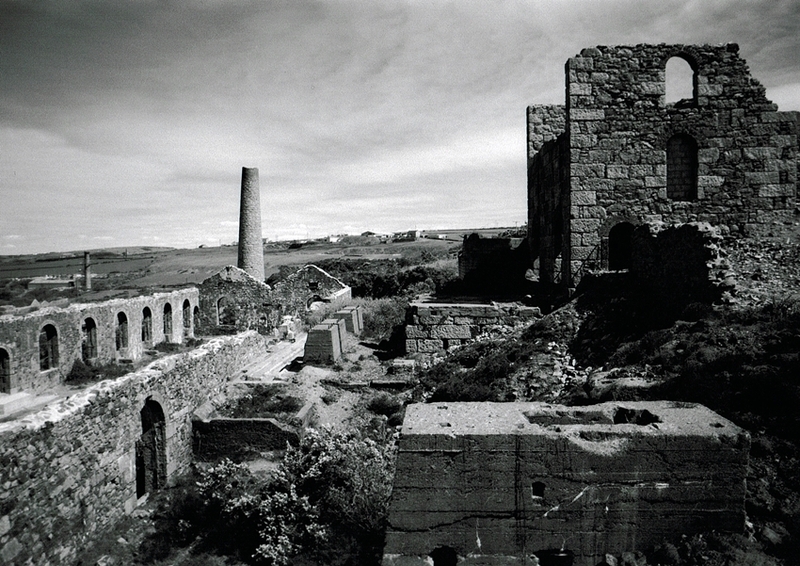 Wheal Basset Stamps 16: Lyle’s 80″ Engine House, in the foreground is the small Pumping Engine House from the previous image. 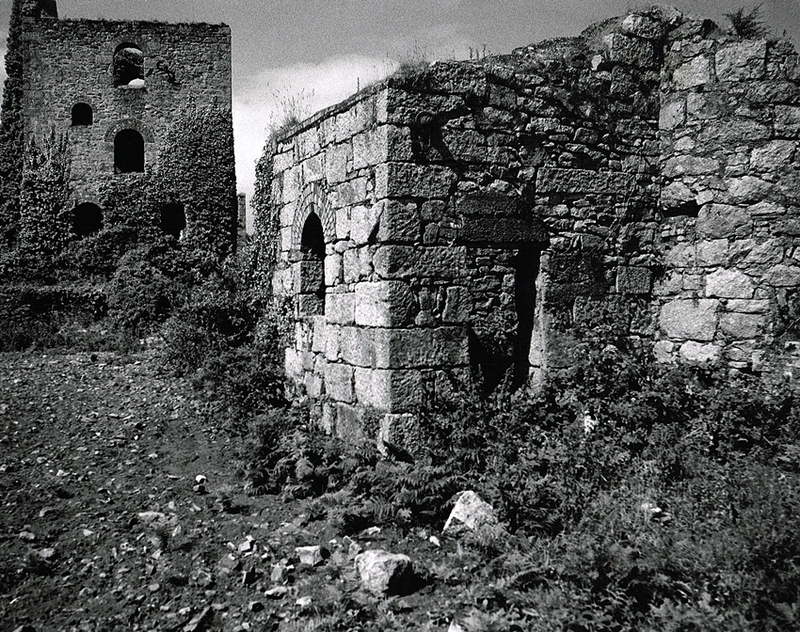 Wheal Basset Stamp 17: This is the Whim House at Lyle’s Shaft, erected in 1880 this contained a 27″ Winding Engine. The shaft reached a final depth of 230 Fathoms. The rest of the images on the page are taken around the second processing are “West Basset Stamps”, once again this is an incredible site of historic mining remains. Wheal Basset Stamp 18: This is the second processing area of the Basset Group is West Basset Stamps, this image was taken before the site was cleared and consolidated. 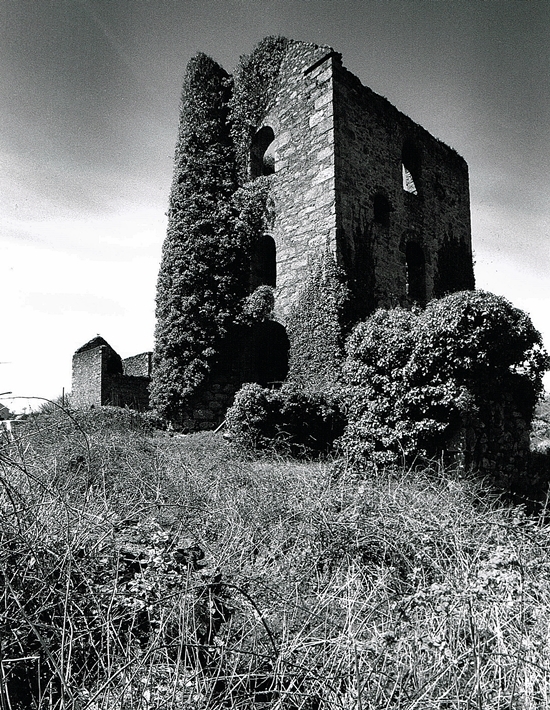 On the left of the image are the Calciner remains with the chimney behind, in the centre is the impressive Vanner House. 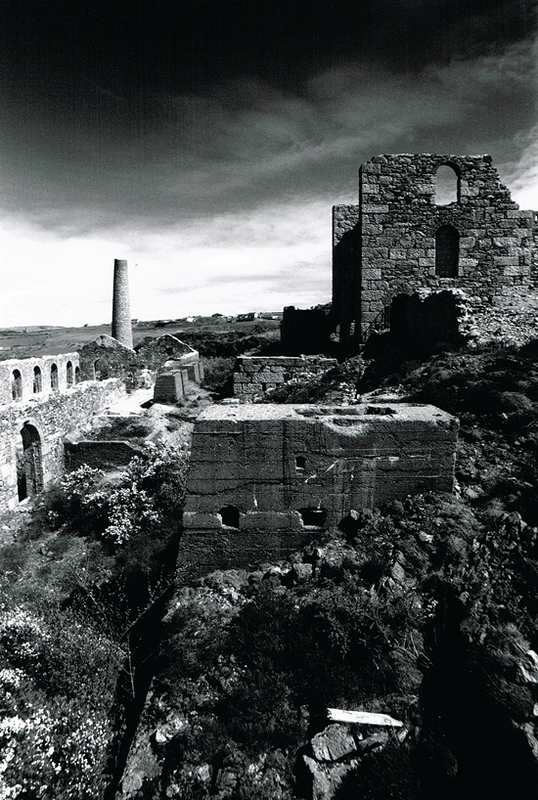 On the skyline is the engine house that drove the 80 heads of Cornish Stamps In the foreground are the remains of Buddles which were used to concentrate the Tin from the crushed ore. On the left of the image is a Calciner. 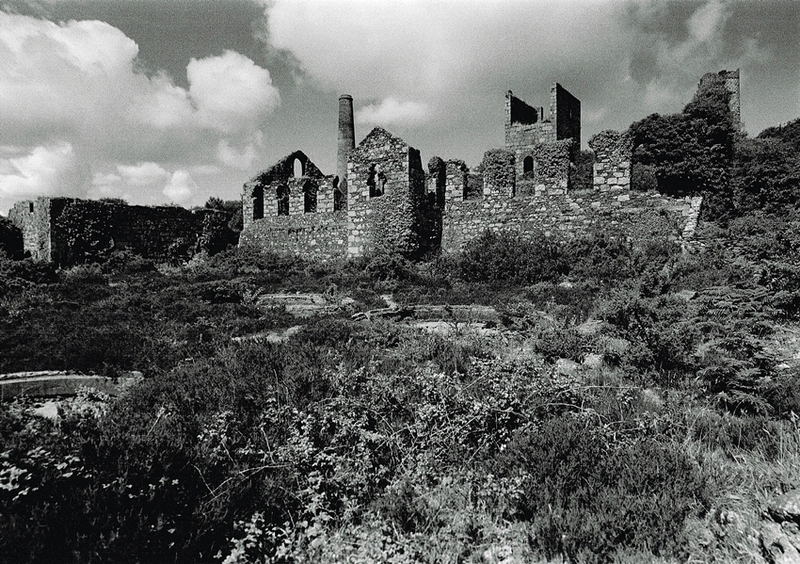 Wheal Basset Stamp 19: A second image of the impressive Vanner House remains, this was built in 1906. 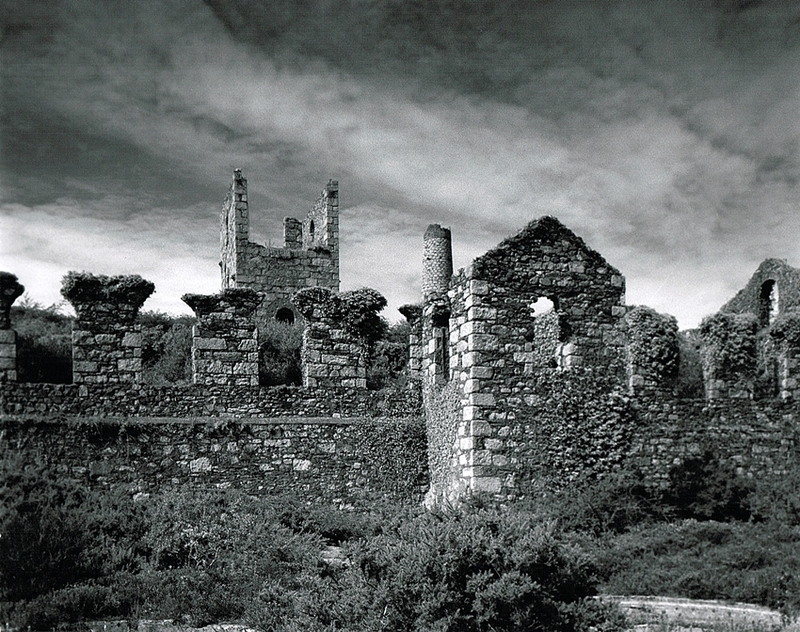 Wheal Basset Stamp 20: Almost like a medieval castle the ruins of the Vanner House still stand proud. 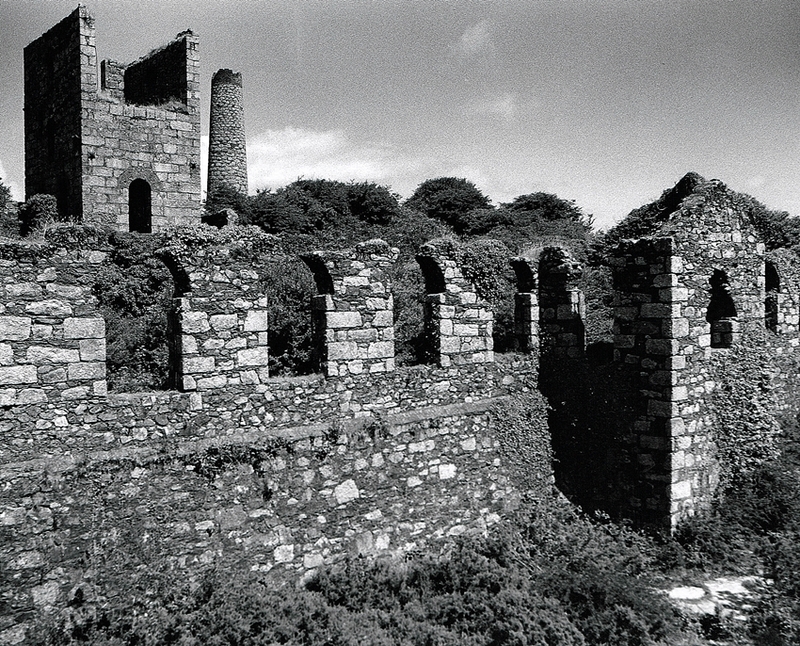 Wheal Basset Stamp 21: A detailed image showing the well preserved walls. In the background is the Stamps Engine, this drove a total of 80 heads of Stamps, 32 on one side and 48 on the other. 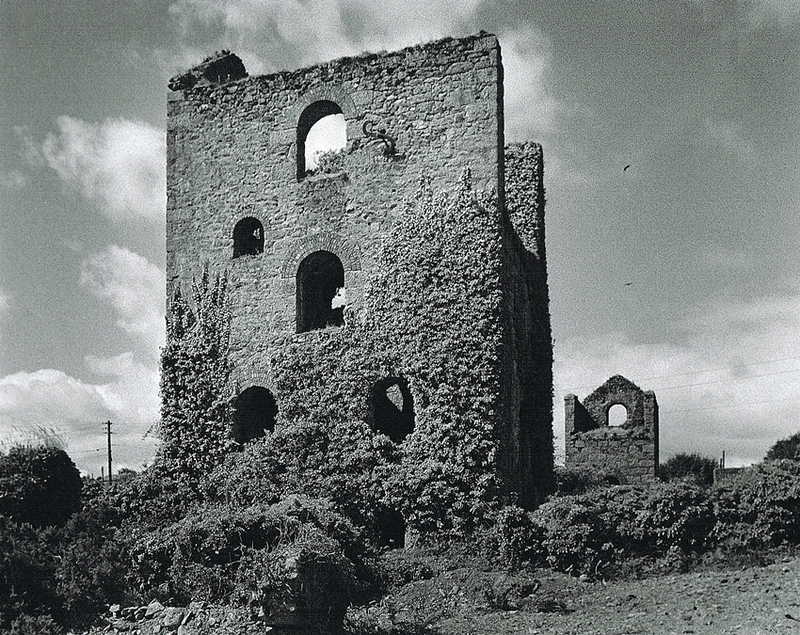 Wheal Basset Stamp 22: A closer image of the Stamps Engine House at West Basset. The Engine was a 40″ cylinder built in Camborne in 1875. 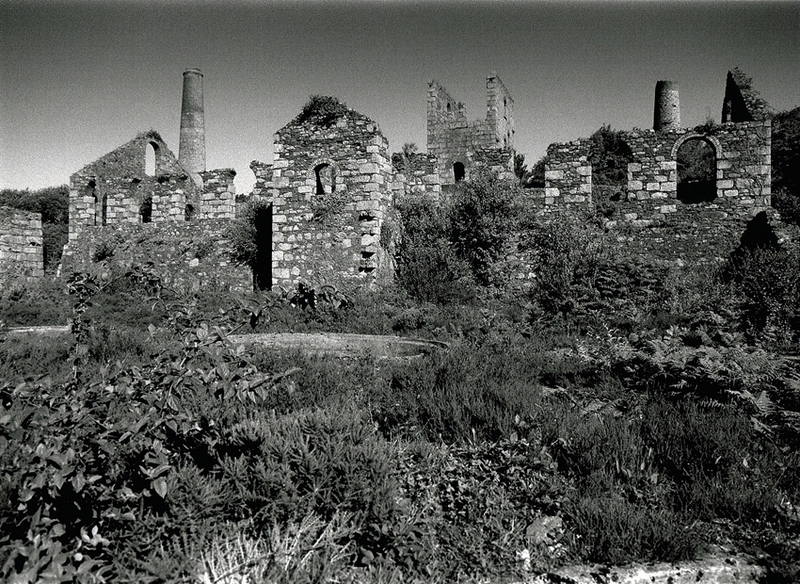 Wheal Basset Stamp 23: The overgrown area in front of the walls is filled with buddles for slime treatment. A total of 16 are hidden in the undergrowth. 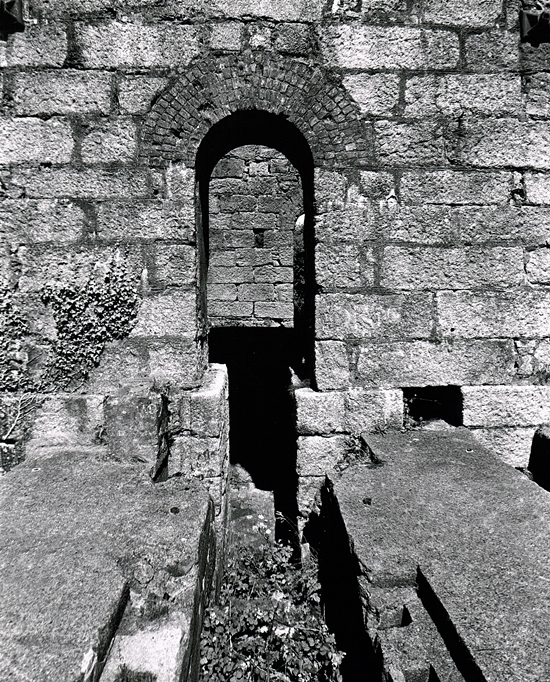 Wheal Basset Stamp 24: This image shows the flywheel slot in front of the Engine House, the loadings for the stamps would extend on both sides. 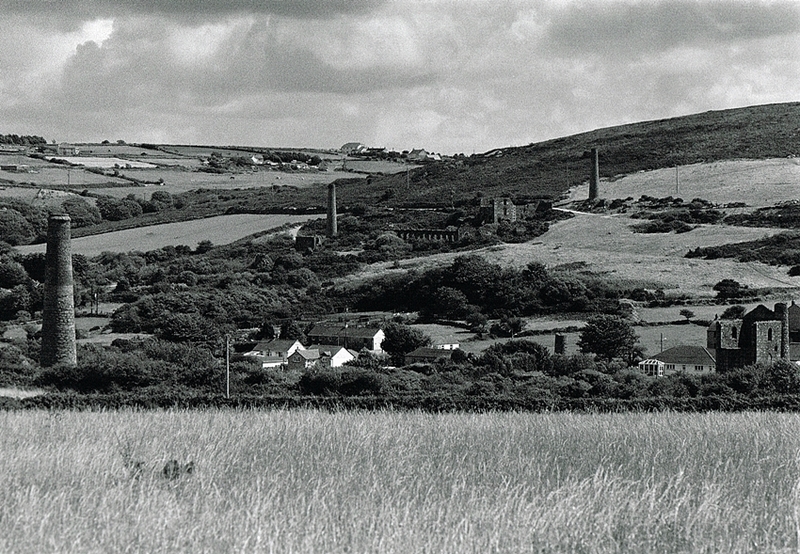 Wheal Basset Stamp 25: This was taken whilst walking up the lane to Carn Brea, looking back towards West Basset Stamps. 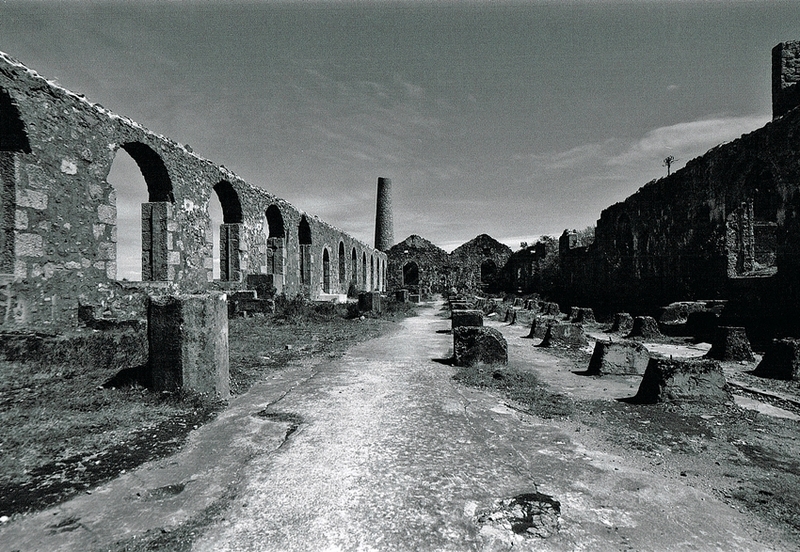 The chimney on the right belongs to the Arsenic Calciner, on the left is the Stamps Engine Chimney. In the centre one can just make out one of the Engine Houses at Wheal Uny. 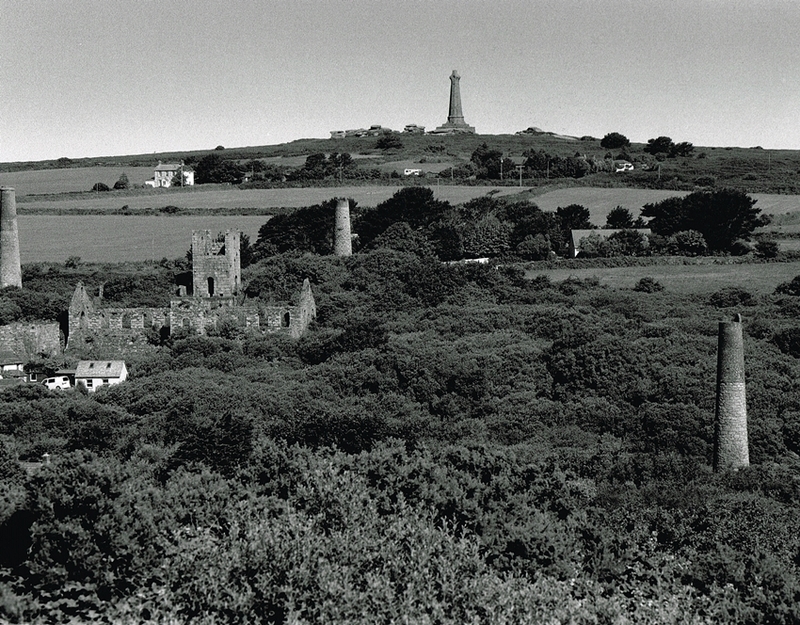 Wheal Basset Stamp 26: Still on the way up to Carn Brea, this image is looking back at the stamps. Lyle’s Engine House can be seen in the bottom right hand corner of the image. 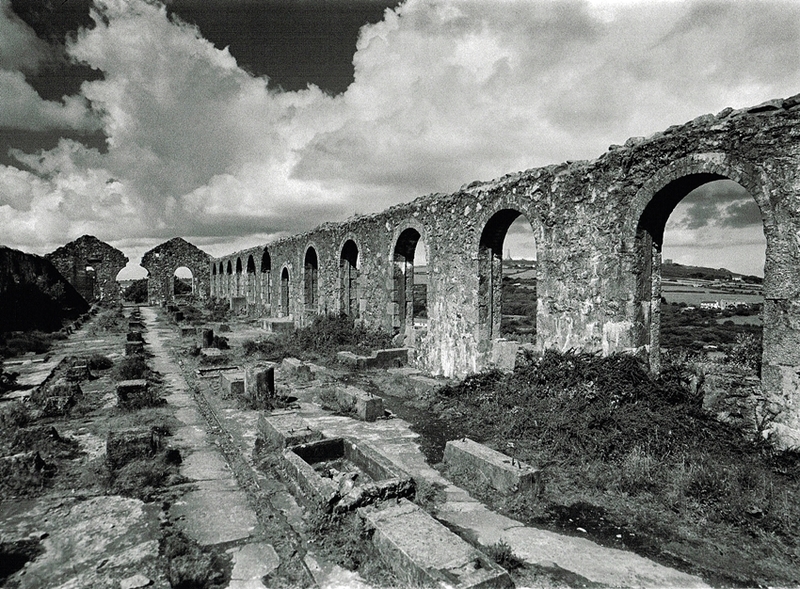 These are some of the most impressive set of surviving remains in Cornwall and one of my favorites. I hope I have done this amazing site justice.